Maximize your business potential by being a part of the go-to publication around the world in the aerospace sector. 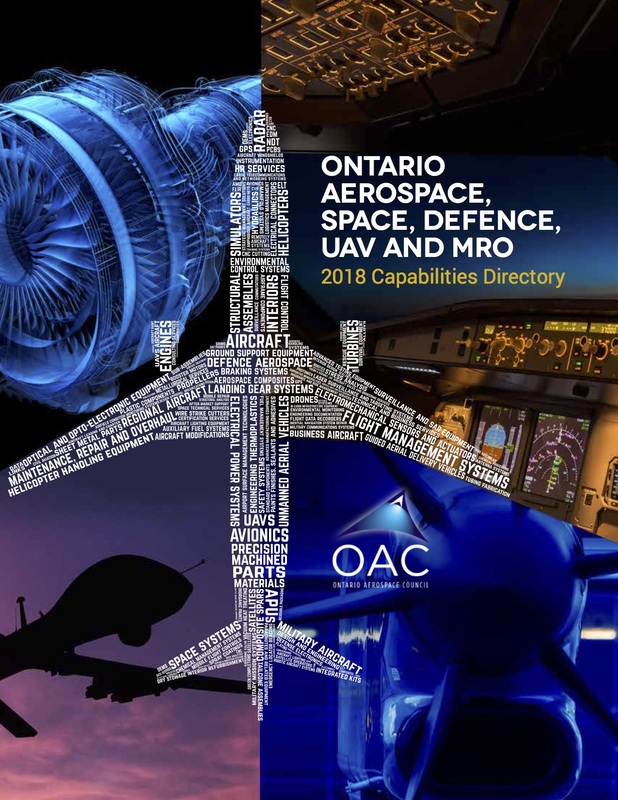 The Ontario Aerospace Capabilities Directory provides readers with an understanding of the comprehensive capabilities of our Ontario aerospace companies and is distributed both nationally and internationally (Asia Pacific, Europe and North America). Publications are available throughout the year, featured at trade shows and global government offices, as well as OAC’s signature events. Want to see for yourself? Check out our on-line version for 2018. Members receive a complimentary listing and preferred rates. The OAC helps to gather intelligence and share knowledge to help support the growth of the sector. We work to provide development of business opportunities for our members and make this a core focus of all of our activities. As a member you will gain access to not only other Ontario aerospace companies, but aerospace clusters around the world to build successful relationships. OAC facilitates participation in a variety of industry leading international trade and B2B shows such as Farnborough, Paris, NBAA, PNAA, ADSS and others. Preferred rates are offered to members in partnership with the Government of Ontario, affiliated associations and organizations. No matter how big or small you are our Networking Events are meant for YOU! Whether you’re an OEM or a Tier 4 or any level in-between, our events will enable you to meet with industry colleagues to learn more about their needs and challenges. Come and engage with us to share what works best for you, gain access to industry information and market trends. Aerospace Unplugged Come learn about current trends, forecasts, aviation information and data covering commercial, defense, business and regional markets and MRO. Participate in discussions with our speakers and take advantage of the networking opportunities with industry stakeholders from across Canada. Our acclaimed, thought-provoking and dynamic aerospace panel includes Richard Aboulafia, Teal Group; Ron Epstein, Merrill Lynch, Bank of America; Kevin Michaels, Aerodynamic Advisory and Peter Hall, Economic Development Canada. Our seminar and workshop topics are driven by member input -- through an annual survey you tell us the areas you need information or access to expertise. OAC Seminar Series are breakfast or lunch panel discussions with popular topics such as Funding, CyberSecurity, Marketing & Public Relations and Risk Management. OAC Workshops are one to three day sessions providing tips and tools from industry experts. Topics covered include: Industry 4.0, Compliance, Beyond the Barriers Research &Technology Event. Recognizing how critical technology is to the success and growth of our industry, the Board of Directors chartered our R&T Committee. The committee is comprised of representatives from government, academia, OEMs, Tier-1 suppliers and SMEs. Through our Beyond the Barriers initiative, our mission is to serve our community by bringing together organizations from different levels of the aerospace technology and supply chain to facilitate meaningful and directed collaborations that will result in enhanced competitiveness and capability across the Ontario aerospace sector. Our Annual R&T Day is supported by quarterly events to engage all members of the community. OAC Ontario Aerospace Research & Technology Source Book is a unique new tool only available to members highlighting Funding and Academic Partners to increase the number of new projects and success of our members’ R&T activities. OAC takes great pride in representing CARIC as the Ontario Regional Office – we invite you to visit our CARIC page to learn more. From time to time, a call for volunteers will be issued for Working Committees of the OAC Board. This will provide you with the opportunity to influence and help shape industry initiatives in export markets, technology, supply network performance, supplier readiness, workplace training, and others. Breakfast with the Board is an exclusive MEMBER ONLY event, held once per quarter. It is hosted by OAC Board members and a maximum of 24 guests. This forum offers OAC member companies the opportunity to bring industry issues, concerns and opportunities to the OAC Board for discussion. Your input during these breakfasts will allow OAC and the Board to better address the needs and interests of the membership in our planning process. Education & Skills Development programs, visit our Resources section to learn more. 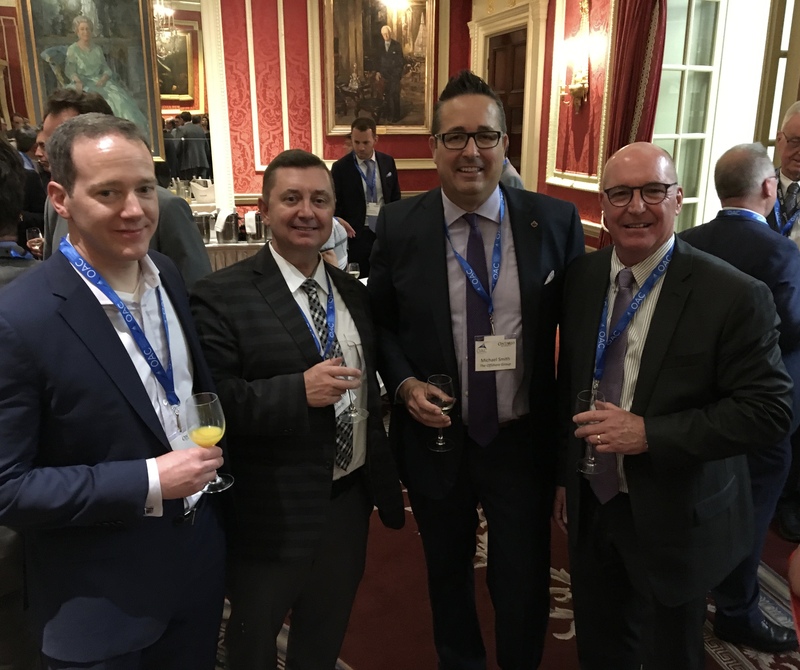 Industry Conferences with leaders and experts from the global aerospace market, visit our Events section to see what's on the calendar! Become a member of the OAC today!